Disputes over who is responsible for what in your business can easily spill over into personal rifts, making family life difficult. To make sure that everybody does their job properly and clearly understands what that involves, it can be well worth your while to draw up contracts, just as you might if you were employing strangers. This may seem strangely formal in a family business, but it's a good way to make sure that everything runs smoothly and to head off problems before they happen. In a family business, everybody is ultimately answerable to somebody. Your manager may run things day to day, but if they fail to do their job properly they may be voted out by shareholders. For this reason it's important for everybody to have a contract making clear their rights and responsibilities. Your contract shouldn't just be there to impose restrictions on you - it should be a useful guide and reference document which helps you to understand the boundaries of your job. What's more, all employees who are present when the business is founded should have a say in how their own contracts are written. Rather than enforcing somebody else's rules, contracts should help you to keep track of conditions you've agreed to, and should help to make sure that everyone keeps their promises. It's important to make drawing up contracts a collaborative process, it's something you should try to do together with all those family members involved in founding the business. By working on all the contracts at once you can reduce the risk of leaving loopholes whereby there are areas for which nobody has official responsibility. Inevitably however you will discover some areas like this over time, so it's important to have a procedure whereby you can redraw contracts when necessary. Ideally this should be done at a full board meeting so that you can draw on ideas from all involved to develop the fairest and most practical solution. Drawing up contracts at an early stage can also be helpful when you're working out what wages you should pay to each business employee. These early contracts can serve as models to use when establishing conditions for any new staff you find yourself employing as the business grows. 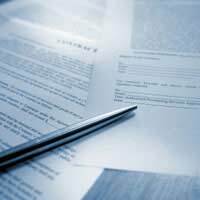 One of the most useful things about having written contracts is the way they can help you to resolve internal business disputes. These commonly occur where there is a lack of clarity about who should be responsible for particular things. Contracts cannot cover everything you may find yourself dealing with, but careful wording should enable them to account for a range of possibilities. You can sit down with the disputants and discuss the best way to interpret the contract rather than the best way for them to do their jobs. This avoids exacerbating the situation by placing blame on individuals - instead you can ascribe the problem to a mistake or misunderstanding, and sort it out more amicably. This is all the more important in a family business where stress over business disputes can so easily spill over into private life. Creating contracts early on in the lifetime of the business means that everyone involved can have a better idea of what they're getting into. This enables rights and responsibilities to be analysed in isolation if they become problematic, without the whole job or business commitment being called into question. It's an effective way to delineate the limits of your business concerns and help to keep them separate from family life.